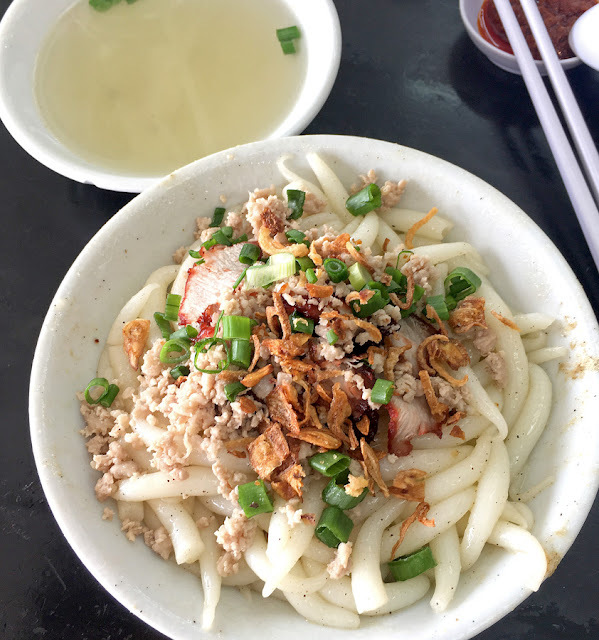 A very regular bowl of noodle which comes with 3-4 slices of BBQ pork and minced meat. This is probably the only edible dish. I've never had such bad lou shu fun before - they mix it with so much which pepper (just look at the amount of white pepper used in the dish), probably two spoons of oil and that is it!!! It's tasteless!!! 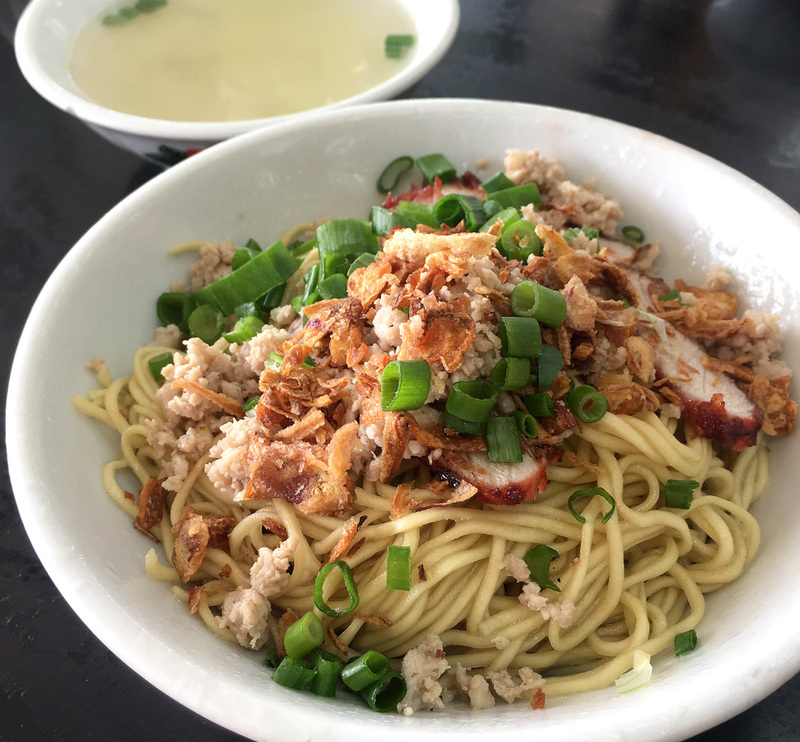 I wanted the fu chow pork noodle to be in mee sua instead of the advertised noodle, they can't change the noodle. I'm willing to pay for the more expensive chicken mee sua but replace it with pork, can't do it too. You can't alter any of the noodles (such a silly concept). We waited for 20 minutes for them to begin cooking as they were taking their own sweet time. Even though we went in at 11am, our food only arrived at 11.30am. Please don't hang your signboards stating that you open at 11am when you only start working at 11.20am! Being all hungry, it got me totally agitated, and it did not help when the noodle I've ordered was practically tasteless. So much noodles and so stingy in terms of meat portion. Never going back after a bad experience at this inflexible place that serves bland noodles...... This is definitely my first and last.